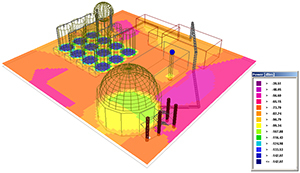 The CoMan application is part of the WinProp suite and allows the simulation of the reliability and connectivity in wireless mesh/sensor networks. 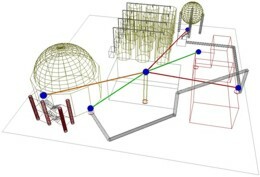 The application provides the possibility to model wireless sensor networks with different types of nodes, e.g. standard and gateway nodes. Connectivity aspects between the nodes of the network can be predicted based on the underlying propagation scenario in different environments (rural, urban and indoor). Depending on the specified wireless air interface of the system, interference is considered as well. The paths of the information flow between the nodes of the network can be determined depending on the predicted radio channels between the nodes and the specified service requirements of the air interface.